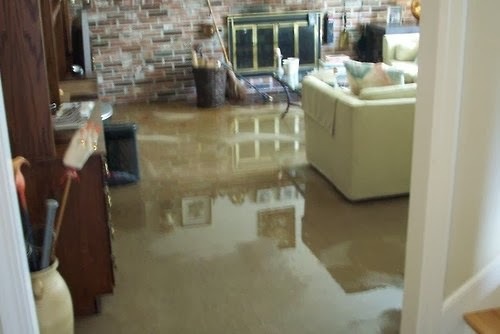 Over the years I've seen many nice homes become victim to accidental flooding to both a small and large degree. Each of which left its mark on the home, along with several dollars, and sometimes many thousands, missing from the owner’s pocket. Many of these “accidents”could have been avoided, and some could not, but one constant that seemed to creep up was the lack of knowledge of how to shut the water off! It’s very important to know, for instance, how to shut the valves off under kitchen sinks, in bathrooms, and ALWAYS know where the main water shutoff is. Main shutoff valves are usually found in a basement (if you have one), or it will be outside wherever your water meter is it’s usually very close by. Sometimes there will be an inside and an outside meter, and in the case of a basement, you can find it next to the inside meter which provides quick shutoff to the entire house. If it happens to be outside it may be hidden under a removable box next to the water meter, but in any case everyone in the home should always know where the shutoff valves are, children included, and how to properly shut them off. So many problems can be avoided by knowing this simple bit of information.